Exactly two months ago we reported the release of Smith & Wesson’s latest M&P offering: the Shield EZ. The new pistol features an easy to rack slide for customers who are older or who may have disabilities. The Shield EZ is also available in two versions, one of which includes a manual thumb safety. Today, S&W is issuing a consumer advisory: the thumb safety can be switched to the ‘On’ position when using limited types of ammunition. Details on how to have your pistol upgraded, free of charge, are listed in the press release below. 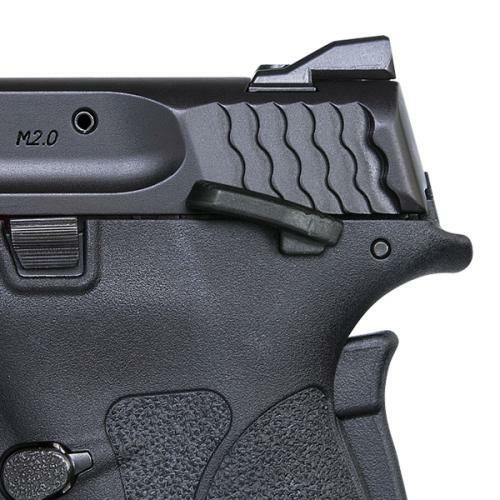 SPRINGFIELD, Mass., (April 6, 2018) – Like any firearm, the function of the M&P 380 Shield EZ Manual Thumb Safety pistol can be influenced by the type and quality of ammunition used with the pistol. In the case of the M&P 380 Shield EZ Manual Thumb Safety, we have found that in very rare circumstances, ammunition that produces a high level of felt recoil can cause the manual safety to move from the fire to the “safety on” position during firing. Should this occur, you will not be able to fire the next round unless and until the manual safety is reset to the fire position. If your pistol is subject to this advisory, please call Smith & Wesson at 1-800-331-0852 or email us at [email protected] A FedEx return label and shipping instructions to facilitate the return of your M&P 380 Shield EZ pistol will be mailed to you promptly. If you have any questions, you may call 1-800-331-0852 for more information.